Your home is a very special place for you and your family, and is a place that needs to be safe. While there is no way to be 100% safe in your house, there are plenty of ways to improve your home security in order to provide a safer home to live in. Installing a security system is a great start. This article will tell you how to install home security alarms. First, it is important to know that some alarm systems can be complex and it would be best to allow a professional to install them. However, there are systems that come in kits that can be installed according to step-by-step instructions. If you have one of these kits, continue reading. The first step is to identify a place where you can place the alarm. This needs to be a place that you can mount the device and the sound will be easy to hear. Also, make sure the alarm is near an electric outlet. Next, decide on the security alarm that you would like to install in your home. Once you have decided on the alarm you should do some research into the mechanics that will be associated with installing the system. After you have purchased your security alarm and have researched into the installation process it is time to begin installing the alarm. It is crucial that you read the manual! You will not need any special skills to install most alarm systems, but it is important that you follow the manual. The instructions are laid out for you to follow, so use them. The only thing you will need is some standard tools and equipment. The biggest part of installing home security alarms is programming the sound device with the control panel. To do this, you will need to attach the circuit with the sound control panel. Install the sensors where you will want them to be. You do not need to hide the sensors from outsiders because the sounders operate on a battery system that will work even when there is an electricity failure, so you do not need to worry about someone cutting the wire and the system going dead. After attaching the circuit with the sound control panel, you need to connect the sounders to the battery. 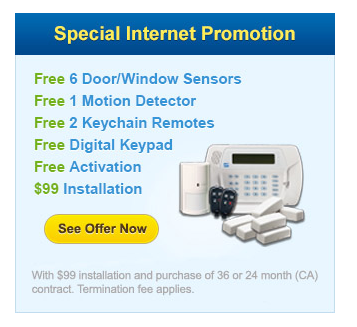 That will complete the installation of your home security alarms. After following the directions listed in the manual and in this article, you should now have completed your home security alarms installation and improved the overall safety of your home. 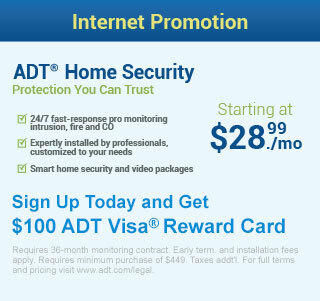 You can now feel safer knowing you have increased the safety of you and your family. Check out Home Alarm Systems – Do It Yourself (DIY) or Professionally Installed?